Trough levels have been recognized to correlate with remission rates. 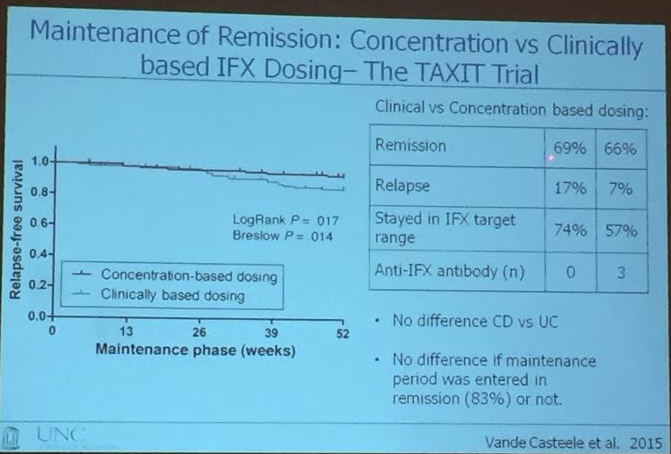 Good data from SONIC (2010) for infliximab. 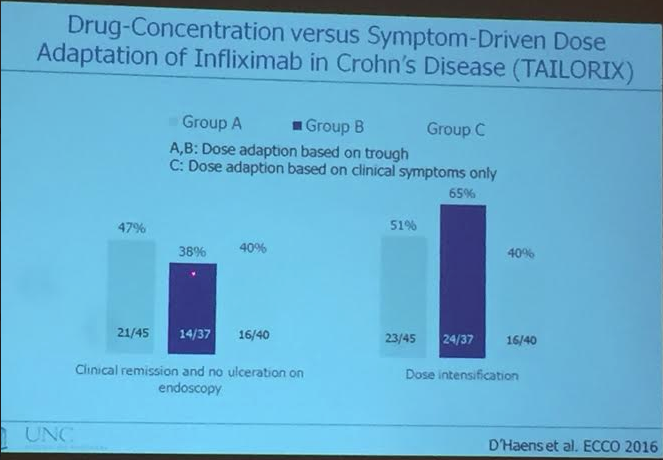 Ultra2 trial (2013) showed similar data for adalimumab. 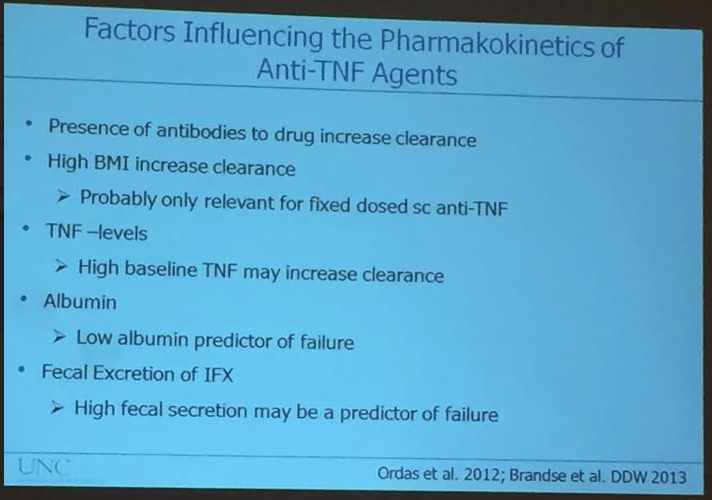 Low albumin predicts higher rates of failure, possibly due to loss of infliximab in stool. 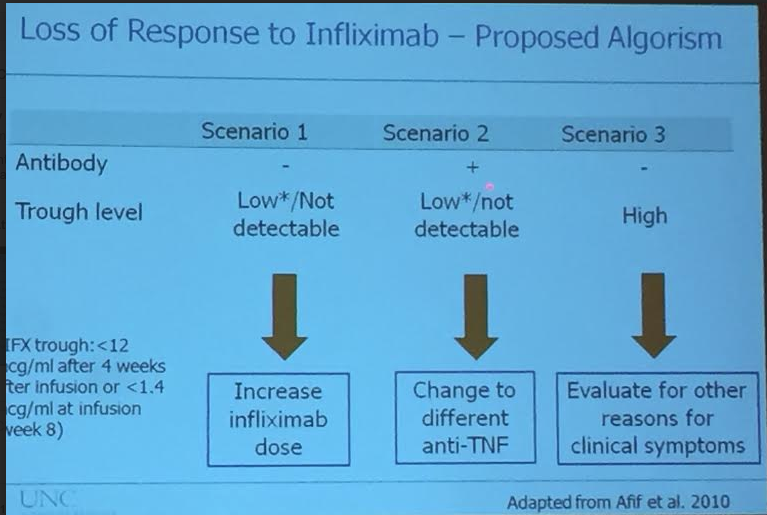 Reviewed algorithm for loss of response to infliximab based on trough levels. 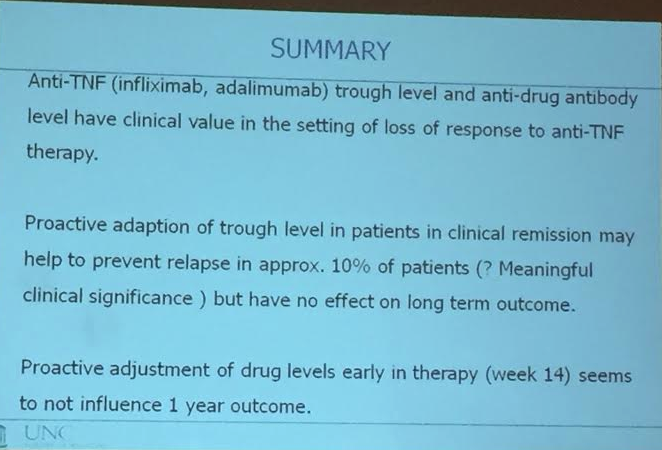 If low infliximab and no antibodies, increase dosing of infliximab has high likelihood of clinical response. 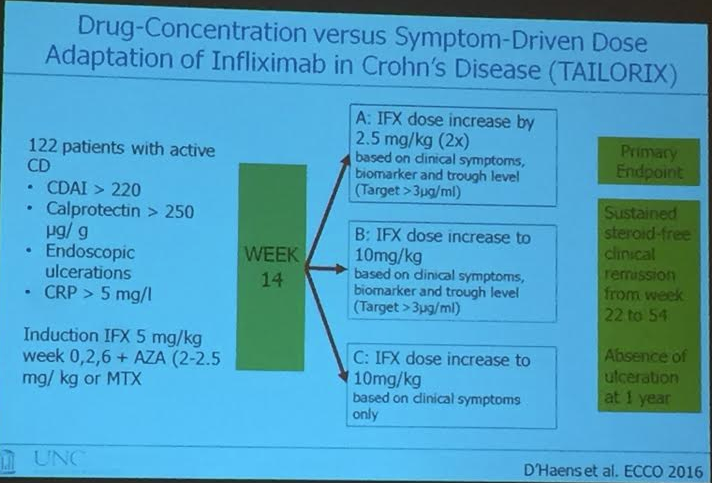 If high infliximab and not responding, evaluate for other reasons including irritable bowel, and strictures. If clinically-well patient has antibodies and adequate drug level, could observe or possibly add immunosuppressive agent. ~3% of patients have simultaneous ATI and IFX detection. If clinically-well with low infliximab level, could increase dose or observe. 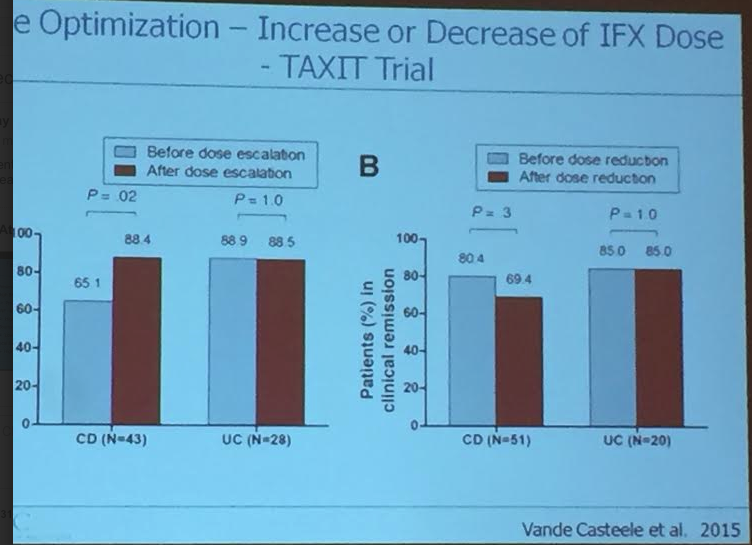 TAILORIX study looked at tailoring dose at week 14. ‘Week 14 adaption did not make a significant difference at 1 year.’ Limitation: 122 patients. 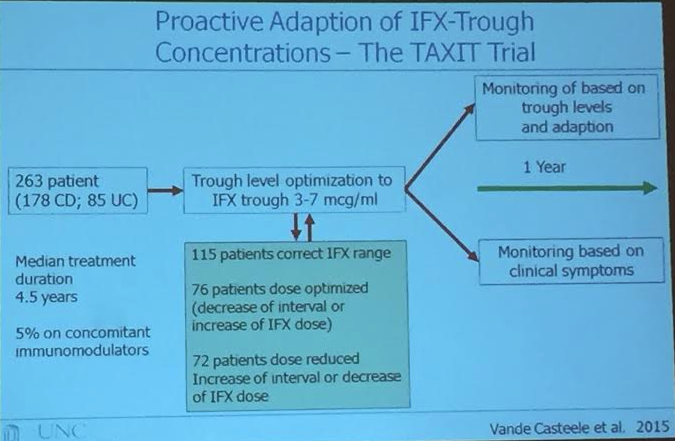 One other recommendation from Dr. Herfarth: he recommends combination therapy in his patients are started on a 2nd anti-TNFs.